American home owners sell and move, on average, every seven years. People who have lived in the same home for the past 30 years may have a hard time understanding all this moving! They are shocked that people move so often, but I know one thing for certain: Their day to sell will come eventually. The home is too small. First-time home buyers often outgrow their “starter” homes. As family size increases many home owners feel like they need more space. The neighborhood has changed.It’s hard for many people to stay in a neighborhood that has changed negatively over time. Difficult neighbors, crime and generally feeling unsafe will push people to move if they can afford it. To fix overlooked needs. Owners might believe they made a mistake when purchasing their present home and want to rectify that mistake. Maybe they thought they could get by without a back yard but are now interested in gardening, or they didn’t think about needing a large dining room to host those game nights with friends. Job transfer. 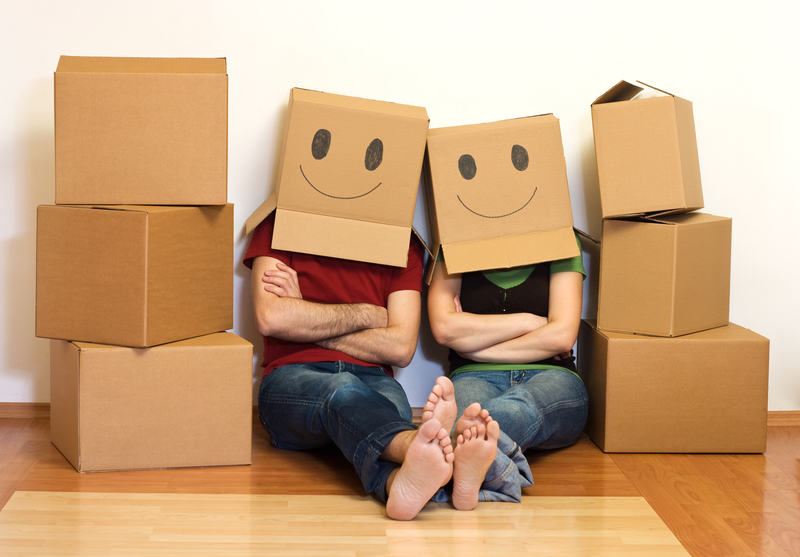 Relocation makes it necessary for many to move. If the commuting distance exceeds an hour, most people would rather sell and mover closer to work to avoid sitting in traffic. Death in the family. It’s a sad fact of life, but many people eventually end up selling their parents or grandparents home, after the passing of the family member. It’s also very common for homeowners to transfer title to a property into a trust to avoid probate proceedings. This allows the successor trustee to sell the property without court approval. Personal relationships. Moving in with a partner or getting married can mean one of the parties will need to sell, especially if both owned homes prior to the commitment. On the other hand, break-ups cause owners to sell as well. Empty nest.The kids have grown up and moved out. The owners want a single-story house, a smaller home or a smaller yard. Who wants to keep up all that? Downsizing a home is very popular among retirees. Community living. Active-adult communities are attracting many buyers over the age of 55. These planned communities have golf courses, workout facilities, weekend social gatherings and more. See family less often. To put more distance between the home owners and relatives. Some might move out of state to keep harmony within the family. Sometimes distance is key. Lifestyle change.Some people are looking to change their lifestyle and would prefer to travel or pursue a hobby. Many people past a certain age want to find a calling that is meaningful to them. For these people, home ownership loses its priority status and turns equity into cash for following their dreams. Home improvement or flipping.A small segment of people enjoys fixing up a home and flipping it, changing homes every two years or so. Once the work is completed, it’s on to the next home! If you’re thinking about moving please give a call! I’d love to help! This entry was posted in 2017 REAL ESTATE FORECAST, Boring homes for sale, Damascus homes for Sale, Fairview homes for sale, gresham homes, Happy Valley homes for sale, milwaukie homes for sale, N Portland Homes for sale, NE Portland Homes for Sale, NW HOMES FOR SALE, rachel sheller, Real Estate, SE PORTLAND HOMES FOR SALE, SW PORTLAND HOMES, TIGARD HOMES FOR SALE, Troutdale homes for sale, Uncategorized, Wood Village homes for sale and tagged moving, portland, rachel, rachel sheller, rachel shelley, rachel's Blog, rachelsheller, The Top Reason Why People Move, Thinking about moving?, Why people move, www.rachelsheller.com. Bookmark the permalink.